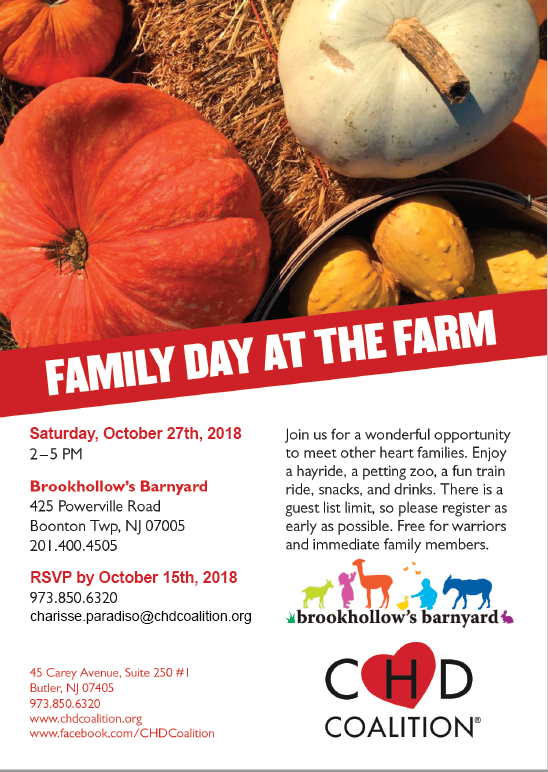 Join us Saturday, October 27th from 2-5 pm at Brookhollow’s Barnyard for a wonderful opportunity to meet other heart families. Enjoy a hayride, a petting zoo, a fun train ride, snacks, and drinks. There is a guest list limit, so please register as early as possible. Free for warriors and immediate family members.